On Saturday morning the forecast looked a bit dicey for ringing but we gave it a go. When we first arrived, it was overcast with a light westerly, but with a light mizzle falling it was too wet to ring. By the time we wandered up for another look at the red-necked phalarope, which was still on the Budge fields, the mizzle had moved through. We only put three nets up because of the threat of showers, which didn't materialise. A couple of chiffchaffs were in song when we were setting up and we soon caught a couple. Catching was slow though and we only caught 17 birds before the breeze picked up and we packed up at 12.30. 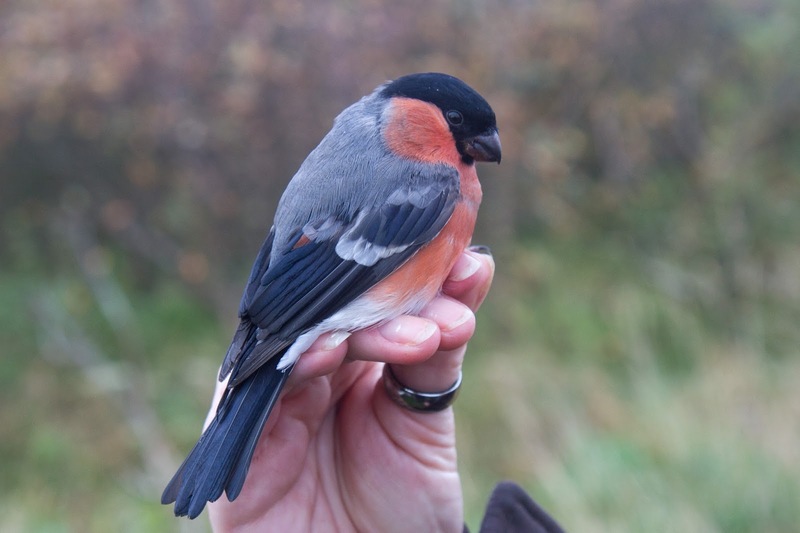 We did catch two male bullfinch, both first-year birds, this follows a single female last weekend. 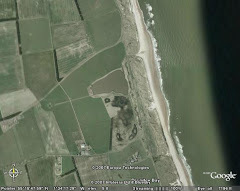 Bullies are rare at Druridge so nice to catch a few. We've had notification from BTO about a couple of interesting recoveries. 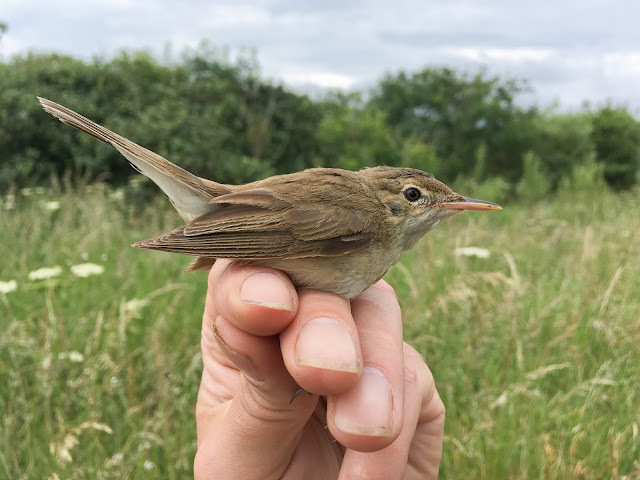 The first was a reed warbler that we caught back in July, it already had a ring on it, but not one of ours. 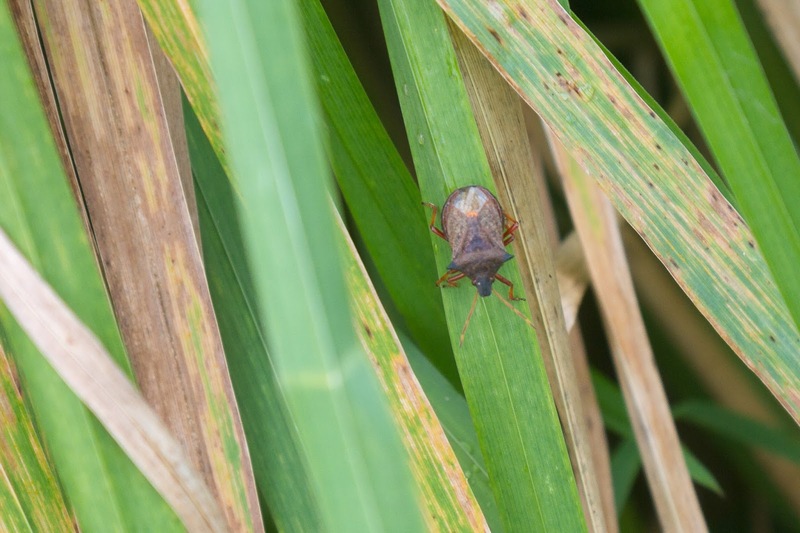 It was a breeding adult male, probably nesting in the little reedbed at the corner of the big pool. The second report was recovery of a blackcap that we ringed as a juvenile on the same day in July as we caught the reed warbler. 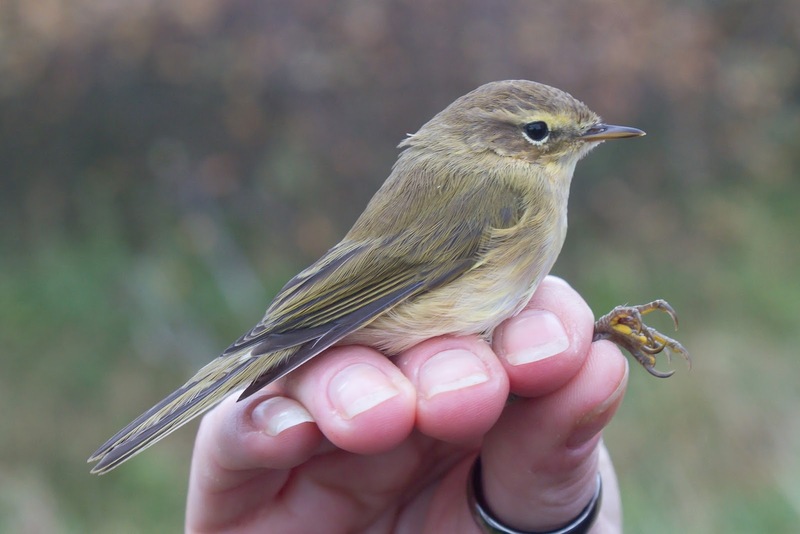 57 days later it had traveled 510km and was caught by the Cuckmere Ringing Group at Litlington in East Sussex.